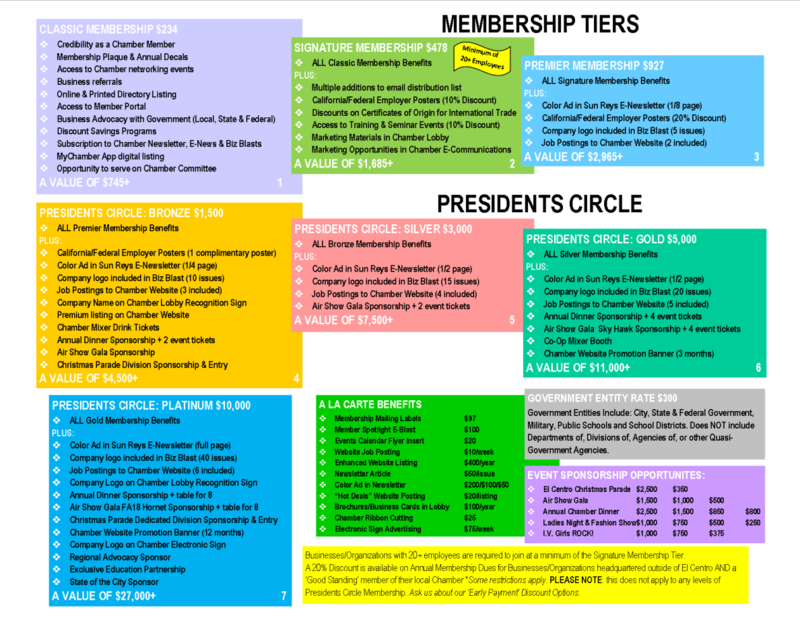 With our 'Tiered Membership' each level offers measurable value through relationship building opportunities, marketing, discounts, professional services and so much more. New members will be able to join the Chamber at the level that best meets their needs. 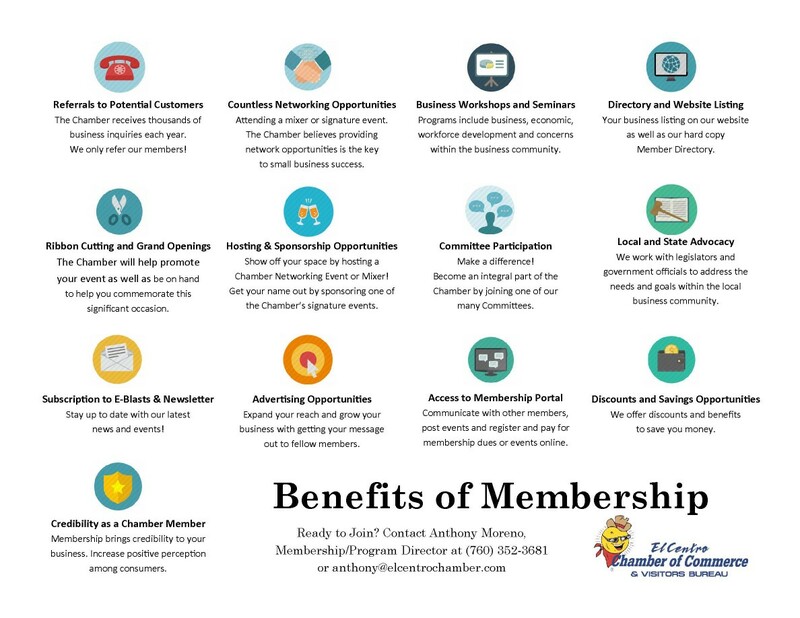 The El Centro Area Chamber is pleased to offer our Members the value and options they deserve!